This is the latest of Judy Niemeyer's Technique of the Month Patterns. 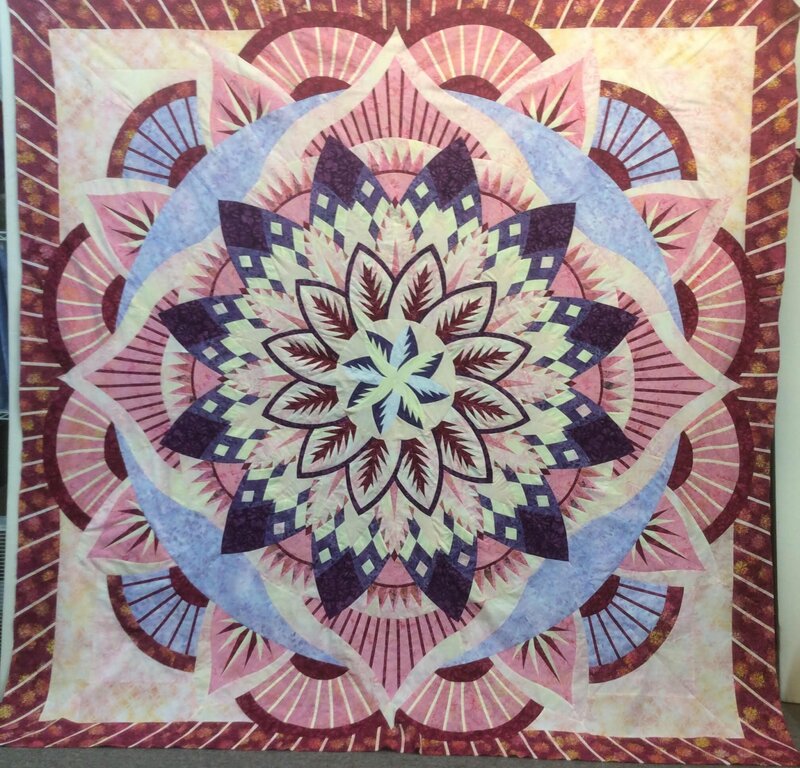 It is a beautiful quilt with many layers to depict the gorgeous Dinner Plate Dahlia flower. No experience is necessary to complete this quilt. You will learn a technique each month and by the end of the series you will know how to complete your beautiful quilt top. Pattern not in stock yet.